The colour coating of hot-dip galvanized steel – also called Duplex system is a particularly high-quality protective system. Zinc and colouring complement one another's effectiveness to increase the duration of corrosion protection by 1.2 to 2.5-fold. For almost 30 years we have been blast cleaning a vast range of products from indoor television aerials to grills and suspension parts for McLaren sports cars. We're one of the largest independent product finishers in Essex. At Vulcan Shotblasting, we strive to be our customers' preferred supplier by enhancing customer satisfaction through competitively priced high quality coating, on-time deliveries and customer service. For almost thirty years Vulcan Shotblasting Ltd has been blast cleaning a vast range of products from indoor television aerials to grills and suspension parts for McLaren sports cars. We're one of the largest independent product finishers in Essex, with experience of applying specialist colour and protective finishes for our customers. Whether you have some garden furniture that needs cleaning and re-finishing, or sensitive electronic equipment that needs a special finish, contact us today with your requirements. 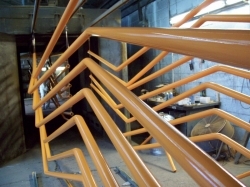 We can apply a range of finishes to your products, using powder coating or wet paint finishes on plastic, metal and wood. We do on-site work, or you can bring your products to our manufacturing facilities at Basildon. A collection and delivery service is available. The range of colours is almost infinite, and our protective coatings are capable of withstanding some of the most difficult environments on earth and even to the edges of outer space. 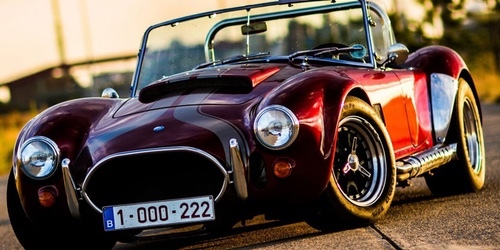 Our finishes combine high protective qualities with aesthetically pleasing results and we are held in high regard in the automotive trades for both cars and motorcycles. Shot blasting is a method of cleaning surfaces by applying small particles under pressure, abrading dirt and rust from the surface. We use a variety of shot media from steel shot, aluminium oxide, glass bead and chilled iron, using a full range of grit sizes. 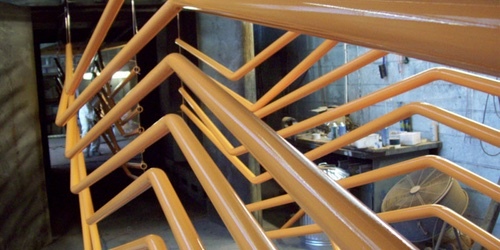 If you have any questions about shot blasting, blast cleaning or powder coating, get in touch with us today. Call us or send an email, via our contact page, and we'll get back to you right away. At Vulcan Shotblasting, we strive to be our customers' preferred supplier by enhancing customer satisfaction through competitively priced high quality coating, on-time deliveries and customer service. For almost 30 years Vulcan Shotblasting Ltd has been blast cleaning a vast range of products from indoor television aerials to grills and suspension parts for McLaren sports cars. We're one of the largest independent product finishers in Essex,applying specialist colour and protective finishes for you. We can apply a range of finishes to your products, using powder coating or wet paint finishes on plastic, metal and wood. 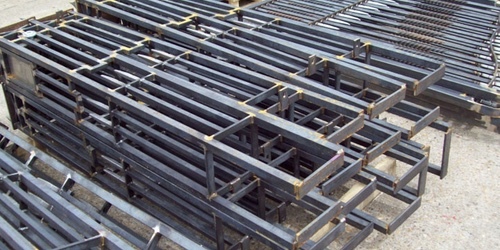 We do on-site work, or you can bring your products to our manufacturing facilities at Basildon. A collection and delivery service is available. The range of colours we have to offer you is almost infinite. Shot blasting is a method of cleaning surfaces by applying small particles under pressure, abrading dirt and rust from the surface, we use a variety of shot media from steel shot, aluminium oxide, glass bead and chilled iron. Shot blasting is necessary for blasting tough metals. 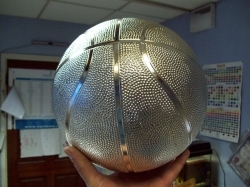 We only use fine steel grits and ball shots to give a clean perfect finish every time.